Comes complete with a 4 x 7 roll-up door or your choice of a 3 ft or 4 ft walk door. Designed for 2 cars plus an additional side storage. 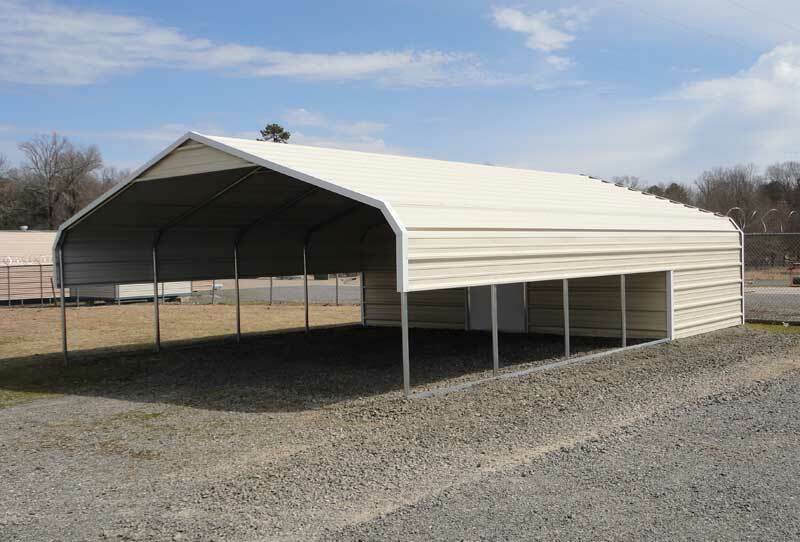 This carport/storage combo can also be modified. The back, sides and front can be fully enclosed and a garage door can be added for more complete protection of your vehicle. Comes with a 4 ft or 6 ft wide door.